I didn’t just stumble across this theme. American Gun Culture has been the air I breathed ever since I was Annie Oakley with a cap gun as a kid. I sat cross legged on the floor watching TV shows from The Rifleman, Texas Rangers, The Lone Ranger, The Cisco Kid …. and more. Many more. You’ll find TARGET 91 on AMAZON USA, UK and coming to AUS. 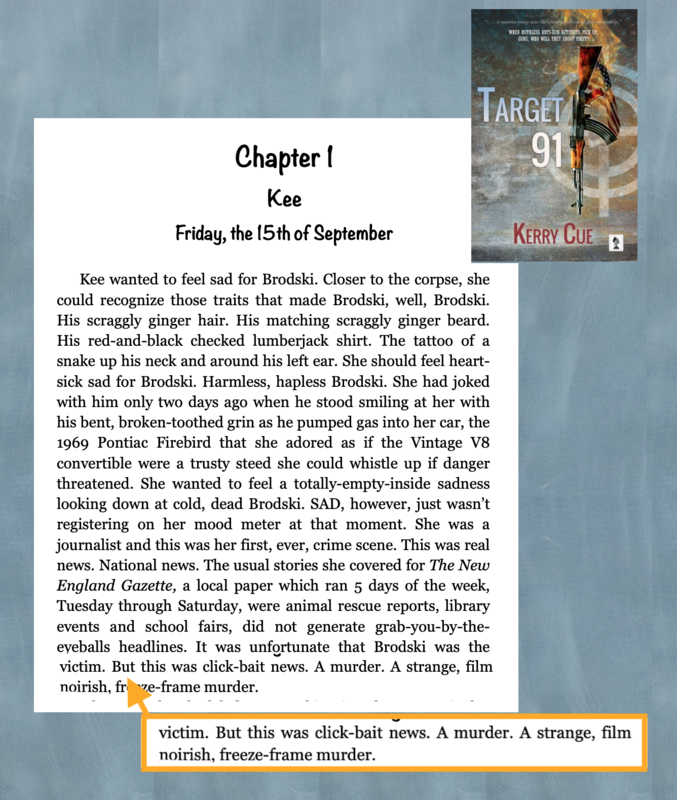 This entry was posted in Book Extracts and tagged action, American, crime, culture war, detective, fiction, Gun Culture, humor, humour, mystery, noir, novel, satire, suspense, thriller by Kerry Cue. Bookmark the permalink.